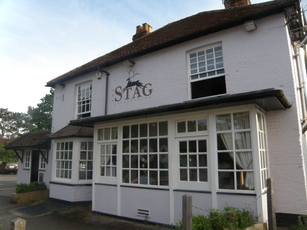 Went to this pub a couple of weeks back looking for a bite to eat, saw previous reviews and figured we'd risk it as it was close to where we were. Turns out it's under new ownership and the food was delicious. Beer was good, friendly welcome and a lovely interior..
We went to this pub when the new management took over,the food portions are very small we had to send the food back to be re-heated when it finally arrived it still was luke warm,maybe something wrong with their microwave! The beer was flat and tasteless,and my wifes wine glass was dirty. overall the food was second rate and pricey,beer was no good and the service was burger king standard, would not go again. 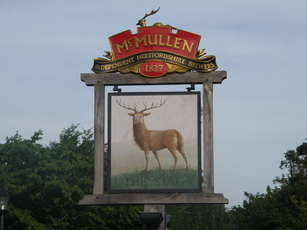 The weather was magnificent so the beer garden was used, only 2 ales - McMullens AK & Hop Leaf Spring Zing, both on form. Friendly staff. Was last here 11 or so years ago and I remember around that time drinking Benskins bitter & stopping at the last 20 mls cos it was full of sediment, it didn't put me off for 11 years though I just moved jobs!